A woman in Long Island has filed a lawsuit against Samsung after her Galaxy Note 9 caught fire inside her purse, the New York Post reported Saturday. 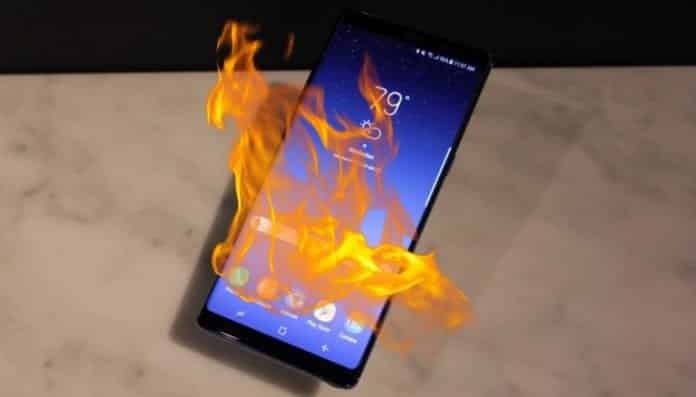 The report brings back ill-fated memories of the Samsung Galaxy Note 7, which was infamously recalled twice and discontinued merely weeks after it was released due to its exploding battery. Diane Chung, a real estate agent based in Long Island, was in the elevator of a Bayside building on September 3rd when her new Galaxy Note 9 “became extremely hot” after use, reveal the legal documents. As a result, she stopped using the phone and put it inside her purse. Chung said she then “heard a whistling and screeching sound, and she noticed thick smoke” coming out of her purse. According to the lawsuit filed to the Queens Supreme Court, Chung tried to empty the purse’s contents on the floor but in the process, she burned her fingers while trying to touch the Samsung phone that had caught fire. The moment the doors of the elevator opened, Chung kicked the burning handset out of the elevator. However, the device did not stop burning until a passerby picked it up with a cloth and placed it into a bucket of water, the newspaper reports. Chung calls the experience “traumatic” in her lawsuit, adding that the fire left her unable to contact clients and ruined everything in her bag. She is seeking unspecified damages and a restraining order barring the sales of any Galaxy Note 9.